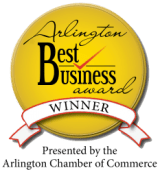 We’re local, family-owned and operated, with a growing service area around the Washington, DC metropolitan area for providing cybersecurity, IT consulting, data recovery and web development services.. Contact us before visiting our location to make arrangements for service. If you are interested in data recovery, open a ticket and we will coordinate with you to bring your equipment to us. Our goal is to provide the most convenient customer experience possible. We’ve carefully selected our locations to try to minimize the impact local traffic has on our clients and our agents visiting the locations to pickup and drop-off equipment.